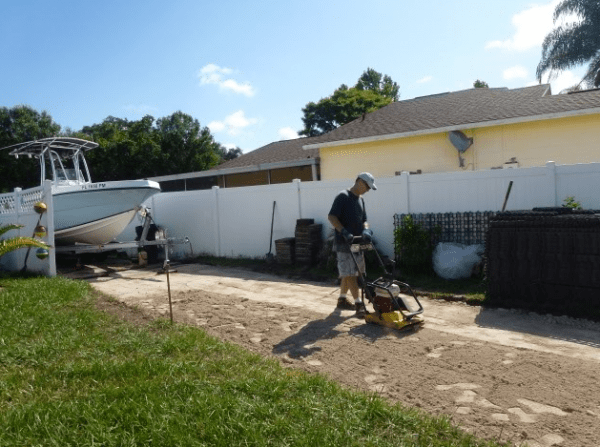 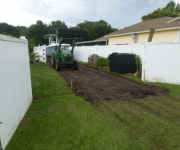 A local boat owner was experiencing problems excessive mud when storing his boat and did not want to cement or pave a large section of the grassy area. 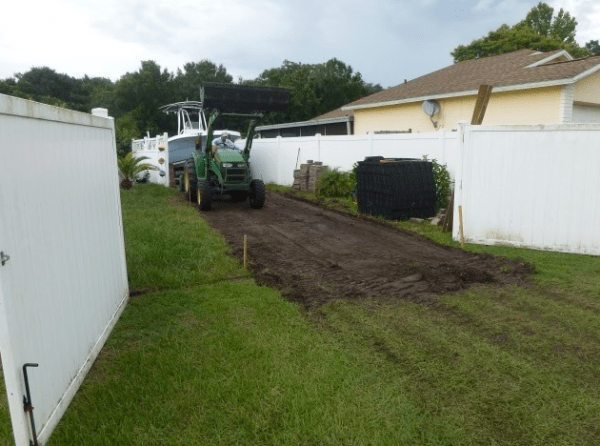 In order to prepare for the E50 installation, we needed to remove the existing grass and top level of the muddy soil. 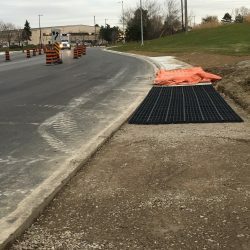 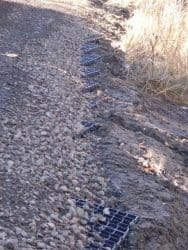 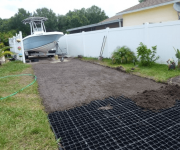 The Ecoraster E50 Grid was installed and filled with soil. 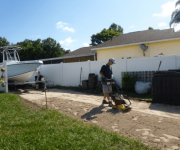 The area was then seeded to provide a beautiful green space with excellent support. 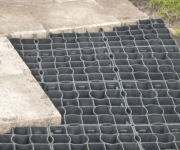 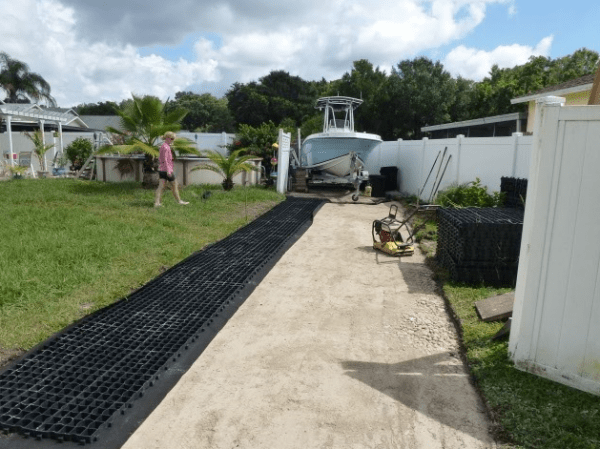 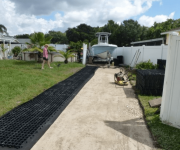 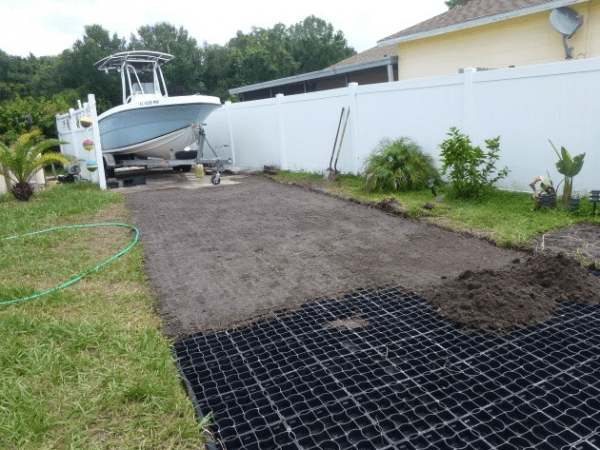 Ecoraster E50 was able to adapt to the design of the space, eliminate mud issues and provide an immediate and usable solution for boat storage. This surface will now support 800 tons of pressure per square meter. 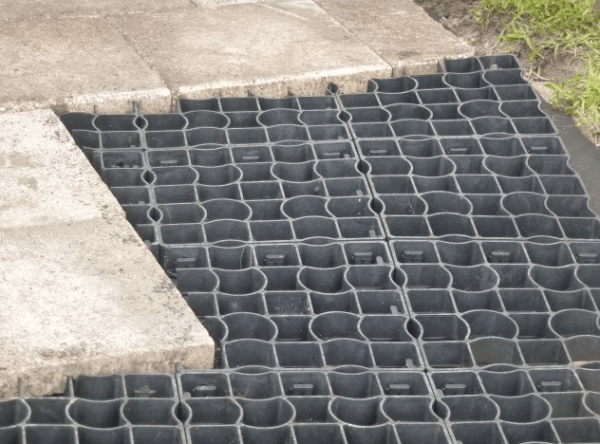 A fully sustainable solution with a great combination of form and function!